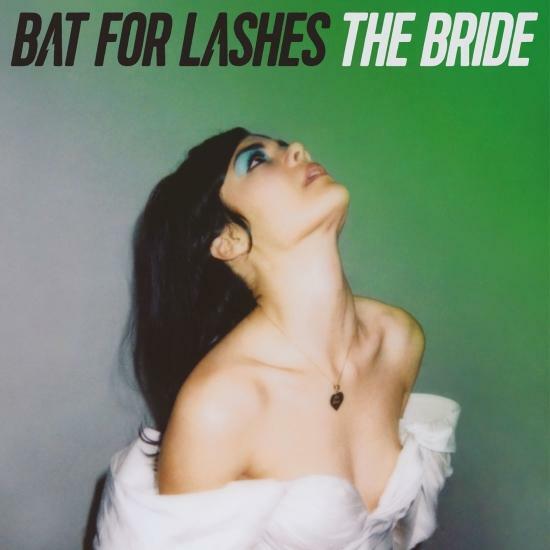 On previous Bat For Lashes albums, Natasha Khan has tempered her predominantly whimsical, fairytale tendencies with more direct examples of award-winning populist songcraft such as “Daniel” and “Laura”. But with this concept album, those seemingly divergent sides of her art are fused in a way that makes for a much stronger, and more moving, whole. The Bride tells the story of a woman left tragically at the altar when her husband-to-be is killed in a car crash en route to their marriage; but instead of adopting widow’s weeds, she sets off alone on honeymoon, accompanied by the groom’s ghostly presence (real or imagined), to find her own way through the emotional catastrophe. It’s a tale which rejects the usual passivity accorded female characters, as the bride adopts the role of self-discovery often reserved for male protagonists. In so doing, she moves from the restrictive belief, in “Honeymooning Alone”, that “I’ll always be the girl that was denied”, to the acknowledgement, in “If I Knew”, that the tragedy was “a mountain I had to claim as mine”, in the scaling of which she secures an epiphany of self-realisation. Co-produced in a Woodstock home studio with her frequent collaborators Simone Felice, Ben Christophers, Dan Carey and Head, the album has a bold unity of tone despite its diverse musical palette, as songs switch between sounds and styles: the haunted Twin Peaks vibe of “I Will Love Again”, for instance, all moody organ drone and guitar motif, giving way to the harpsichord, strings and heavenly choir of “In Your Bed”. Ambient effects underscore narrative moments: the subterranean thunder-pulse and ghostly vocal keening haunting the premonition of “Joe’s Dream”, or less subtly, the crash which opens “Honeymooning Alone”. But it’s Khan’s soaring vocals which bring the album to vivid life, whether sounding like a trad-folk liaison with the dead in “Close Encounters”, or opening her soul like Joni Mitchell in “If I Knew”. The result emulates, and equals, Joanna Newsom’s Divers, another ambitious album about the inescapable inter-connectedness of love and death. 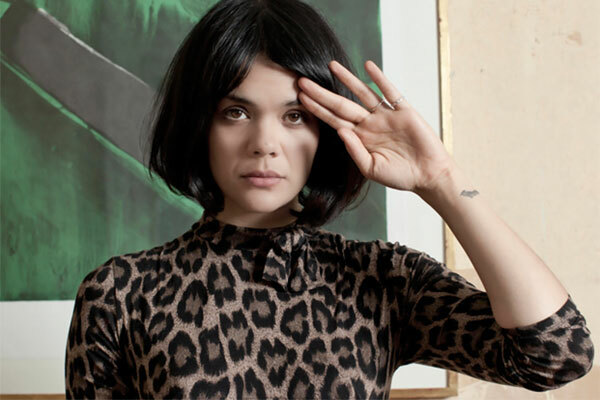 (born 25 October 1979) is an English songwriter who records as Bat for Lashes. Incredibly photogenic and fashion-minded, Khan is a glamorous figure for the alternative music realm; a seeming star-in-waiting, successor to that mystical/sexual rock-heroine crown. Bat for Lashes' music has been championed by Björk, Radiohead, M.I.A., Kanye West, and Devendra Banhart. When her parents divorced when she was 12, Khan turned to music, drawing inspiration from Björk and Kate Bush, two artists to whom she has been frequently compared. “Growing up, Bjork and Kate Bush were really important to me,” offers Khan. “I get tired of being compared to them, and I hope that, as time goes on, I’m going to peel away more and more layers of myself to the point where I’ve made something, and become something, that isn’t comparable. But I understand why it happens. “As a young teenaged girl, I already had a relationship with music, and had already written my own compositions on piano. But until I discovered those artists, it felt like I was missing part of my family. To know your ancestry, to know those who’ve gone before, is hugely important to any budding, young creative people. Befitting someone whose art-school dissertation was on “the artist’s preoccupation with childhood and the subconscious” —a thesis in which she spoke of Michel Gondry and Tim Burton— Khan still draws on those days in her songs.